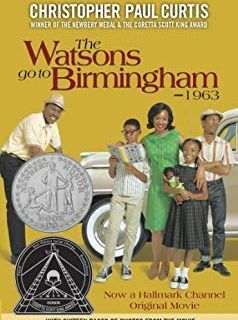 ‘The Watsons Go to Birmingham, 1963” touches on a tragic moment in American history: the bombing of the 16th Street Baptist Church. But it’s really a family story about a road trip. Readers from Two Rivers Public Charter School in Washington, DC discuss the novel with host Kitty Felde. Writer Christopher Paul Curtis won the Newbery award for this book. He talks about how all those statues allowed him to become a full time writer. Our celebrity reader is actor Quinn Marchman.